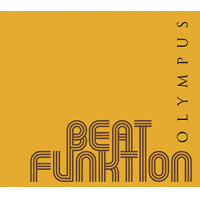 Beat Funktion; what is its funktion? Daniel Lantz is the man behind Beat Funktion's unique sound that blends '70s funk, groove, soul, disco and afro-beat with the language and sensibilities of jazz. 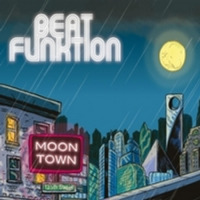 Beat Funktion pays close attention to getting across the more danceable and familiar binary rhythm, that is felt as the "groove." That is what seems to be the funktion of Lantz's beat; its association with funk, a genre that created the "groove" rhythm, which was spear-headed by James Brown and laid down by his drummers Clyde Stubblefield and John "Jabo" Starks. Lantz (keyboard) is the composer and leader of Beat Funktion along with a collection of elite Swedish jazz players: Karl Olandersson on trumpet, Olle Thunström on saxophone, guitarist Johan Öijen, bassist Pal Johnson and drummer Jon Eriksson. A strong characteristic of jazz-funk music is the use of electric instruments, such as the Rhodes Piano, the electric bass guitar, and particularly in jazz fusion the use of the electric guitar. Lantz has created a group sound that follows these characteristics, but still somehow sounds organic and retains all the flavors of the traditional jazz language. Lantz also has a wonderful balance of proportions between composition and improvisation. Arrangements, melody, and overall writing is deeply emphasized. Lantz's Hip, ultra-funky, stylish, and energetic jazz-funk sextet Beat Funktion plays it like they mean it on their Follow-up to the success story of Voodooland, the band's fourth album, Mandy's Secret. With ten new compositions by Lantz, combined with the production of co-producer Mats Björke (pianist from the rock band Mando Diao), Mandy's Secret is guaranteed to please all groove aficionados, funky dancers and discerning jazz cats. "Budo" is full of pentatonic riffs, clean funky guitar strumming, driving drums and bass and a keyboard figure that really adds an extra layer of harmonic and rhythmic interest. The melody is stated by the horns and Lantz's keyboard with driving rhythms that add interest to the overall track sound. This is a great vehicle for the band and Oijen delivers a fine guitar solo with just the right amount of distortion to dive his guitar sound with energy and sustain, but his notes are still clear and the overall sound is warm. Lantz and Johnson establish a repetitive figure for Eriksson to lay down his solo against, again the musicality is always high and the drum solo is a fitting end to this exciting track. "Thunderlips" is right from the 70s with singable bluesy riffs all over it, and a groove that will certainly get the toe tapping. Olandersson's growling trumpet solo methodically builds to Thunström's wah-wah saxophone solo; both are full of energy and enjoyable melodicism. Lantz does a fine job of keeping the feel and textures throughout the release fresh and varied and it leads to an enjoyable listen and the band members seem to reveal more of their unique style in each harmonic and rhythmic development. "Mandy's Secret" is presented with a sensual female voice narrating Mandy's story in French. Lantz again establishes a funky groove with contrasting sections that build and flow into each other; convening a musical story that is entertaining and enjoyable. The various parts create multiple layers that will certainly withstand repeated listens without tiring. Oijen lays down another fine guitar filled with chromatics and legato phrases. Beat Funktion has been taking the U.S by storm with a reto-sound, already lauded in Europe, the U.S. is quickly catching up and catching the wave. Though retro in nature, there is nothing stale about their sound. 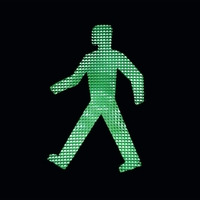 Track Listing: I Am The Summer; Port Arthur; Snap To It; Budo, Are We Done? ; On The Tiles; Thunderlips; Mandy’s Secret; Kandahari Airport; Rundfunk.